Hueneme Bay is a 55+ community in Port Hueneme, California. Home to 773 attached homes, Hueneme Bay is a well-established community in a picturesque area conveniently located next to beaches, shopping, and plentiful recreational opportunities. Hueneme Bay also provides homeowners a low-maintenance lifestyle in a neighborhood with plenty of amenities sure to keep residents busy and active. At the center of the community is the clubhouse, where residents meet to socialize or relax outdoors. Attend a group meeting in one of the two meeting rooms, join a game of poker in the card room or catch up on emails in the computer room. Hueneme Bay also has a catering kitchen for making a snack with neighbors. The terrific amenities continue outdoors. With a pool and spa, residents will have plenty of opportunities to enjoy the year-round climate. Hueneme Bay also provides a barbecue area, patio, and multiple park spaces for gathering with friends. A par-3, 9-hole golf course rounds out the amenities, ensuring golfers that their next swing is never far away. Developed between 1963 and 1971, Hueneme Bay now contains 773 attached homes. These units range in size from 784 to 2,099 square feet and generally have two to three bedrooms, two to three bathrooms and an attached two-car garage. Some residences have desirable features like private patios, recessed lighting, and Corian countertops. Residents at Hueneme Bay enjoy a low-maintenance lifestyle in a community with a diversity of interests. Homeowners regularly take part in some friendly competition with card games and billiards or simply enjoy each others company with barbecues. With a golf course in Hueneme Bay, residents are frequently enjoying the 9-hole course that weaves throughout the community. Living in Hueneme Bay also means enjoying the low-maintenance lifestyle, thanks to the homeowners' association that covers landscaping and common area maintenance, giving residents more time to pursue their hobbies and interests. Hueneme Bay is located in Port Hueneme, California. Just a couple miles away is a Wal-Mart as well as Island Plaza, featuring several stores for everyday conveniences. 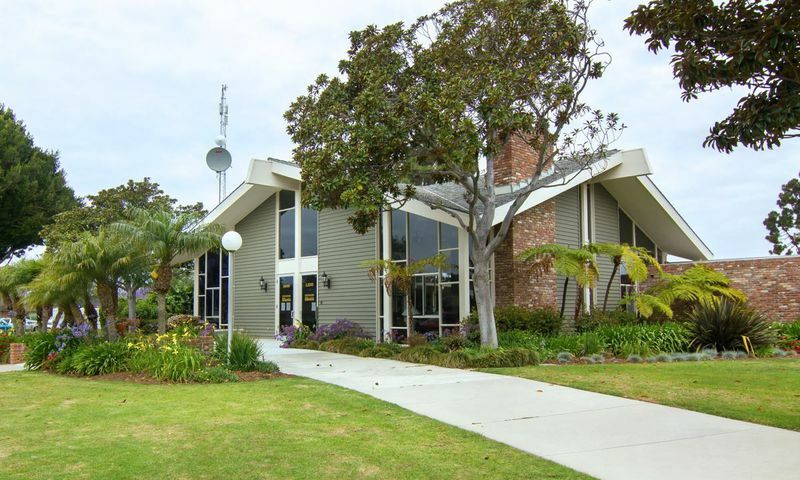 Residents also enjoy easy access to Highway 101, providing a convenient way of traversing the area or accessing Santa Barbara Airport, which is about 45 miles away. Port Hueneme is also home to scenic beaches, a wooden fishing pier, and the beautiful Channel Islands National Park. Hueneme Bay provides the terrific location and amenities to make it a premier active adult community in Southern California. There are plenty of activities available in Hueneme Bay. Here is a sample of some of the clubs, activities and classes offered here. Hueneme Bay contains 773 attached residences. These homes range in size from 784 to 2,099 square feet and generally have two to three bedrooms, two to three bathrooms and an attached two-car garage. Please Note: Not all floor plans are available at this time. 55places.com is not affiliated with the developer(s) or homeowners association of Hueneme Bay. The information you submit is distributed to a 55places.com Partner Agent, who is a licensed real estate agent. The information regarding Hueneme Bay has not been verified or approved by the developer or homeowners association. Please verify all information prior to purchasing. 55places.com is not responsible for any errors regarding the information displayed on this website.